Hornet Juice Testimonials. Our Customers Share Their Buzz. We love our HJ customers. So sometimes we’d rather let them do the talking for us. No fake testimonials here! After all, not only are we in the business of building endurance, but also of building trust to our customers. We put our hand in our hearts and are proud to say that all these testimonials are 100% real from 100% genuine users who emailed us and were happy to share their HJ experience. “I am a keen runner and I am doing my 2nd marathon in Edinburgh in May, I ordered a pack of 4 and have just put in another order. I do feel the Hornet Juice has helped. 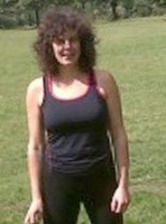 I have felt stonger on runs and been doing hill work more which I don’t normally but have felt I had more energy. I think it works best early morning before eating. I did a 15-mile run last week and didnt feel too bad and could have kept going, so for now i think it does work and will use it for the marathon”. I WANT TO BEAT MY TIME LIKE JACKIE! “I have been using Hornet Juice before my training sessions that are preparing me to run in the Great Ocean road marathon in Victoria, Australia on May 20. I have noticed an improvement in my endurance in my speed training and my long runs. I WANT TO RUN LIKE STEVE! “I have used Hornet Juice several times now it has another benefit that isn’t even mentioned if you have insulin-dependent diabetes…which I do. 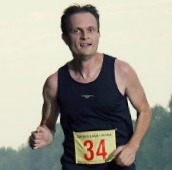 I am a long-distance runner and without Hornet Juice, unless my blood sugar is very high before I run. I always end up with low blood sugar near the beginning of a race which slows me down for two reasons: because there is always the zone when you aren’t sure whether you’re low or tired and because you then have to fight with gel packs while everyone else is still going strong. I’M A DIABETIC LIKE TINA BUT I WANT TO HAVE ENERGY TOO! “I am a big believer in Hornet Juice as I have used it enough times to know that it consistently gives me more energy and allows me to put our more effort in my crossfit and triathlon workouts. I’LL HAVE WHAT STEVE’S HAVING! 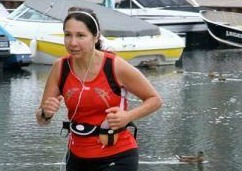 “I have been using your Hornet Juice to train for the BMO Half Marathon that took place this past Sunday. Wow!!! What a miracle supplement & it helped me to finish. I stopped at a water station mixed up a packet of Hornet juice with Gatorade, stretched some & away I went! The cramping in my calf muscle eased & all downhill from there. 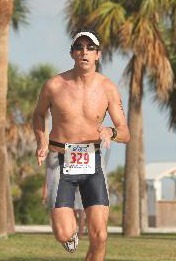 My energy levels were incredible as upon crossing the finish line I was not the least bit tired or fatigued. 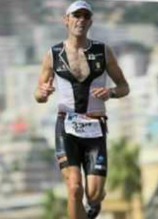 I have seen a movie clip of me flying to the finish line & I look so relaxed & loose almost unbelievable!! 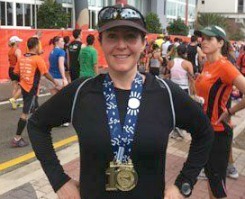 This was my first Half Marathon & not my last! Would you believe I am 65 years old & slightly disabled too? I am on a knee replacement surgical waiting list as I need 2 new knees (runner of 27 years). 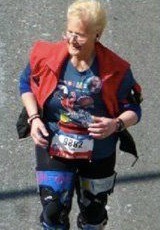 I must wear 2 custom-made knee braces called “Unloaders” which are heavy at 4-5 pounds just to run. Even so, I was not tired at all & as fresh as when I started. I WANT TO RUN LIKE LEE! 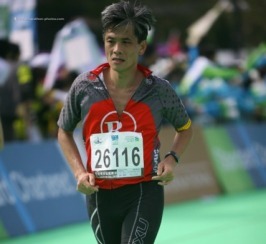 “I am a 46-year-old distance runner who has been running and competing continually on the track and roads for 33 years. I’ve been using Hornet Juice before my hard workouts (about every other day) during the past two months (November and December). 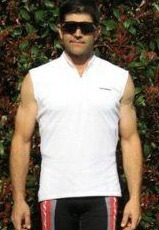 Normally my training during the cold winter months is mostly of the aerobic, base-building nature. I can’t believe some of the workouts I am cranking out day after day on my treadmill. My pulse stays quite low during the runs even though I am pushing the pace, and I have no hint of aches or pains after the workouts. I am probably in the best shape I’ve ever been in this time of year. LET ME RUN LIKE BRYAN! I WANT TO BE STRONG LIKE LAWRENCE! “My initial order arrived yesterday & I used HJ for the first time last night. I wasn’t expecting instant results… but duly completed a regular six-mile circuit in my quickest time this year. And it was my second run of the day! Hardly scientific proof, but it’s certainly encouraged me to continue using it. You’ll have gathered that running is my thing… I’m a middle-aged (47), middle-of-the-road club runner, racing pretty regularly at various distances but starting to focus more on the marathon, as it’s the only distance where I’m still improving my PB. LET ME BE FAST LIKE DAVID! “Hello there! Yes the Hornet Juice sports drink is great!! I turn more and more of my friends on to it everyday!!! We do a lot of snowboard and rock climb stuff out here in Jackson Wyoming and the sports packets come in handy when you are out in the hills all day. LET ME BE SNOWBOARD LIKE THOMAS! I WANT THAT HJ EXPERIENCE LIKE SARAH! I WANT TO RUN LIKE JOHN! PLEASE LET ME GET WHAT JENI’S GOT! “Quick note to say thanks. 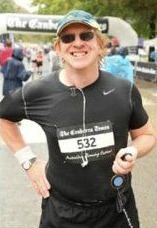 I’m 44 and just finished the Canberra Marathon. I was hoping for a sub-5 marathon, with 4 H 30 M my ‘besttime’ target. I ran 4 H13 M, a dream run for me! I WANT TO RACE LIKE RICHARD! “Unfortunately my supply of Hornet Juice didn’t arrive until after my P.F. Chang’s Marathon in Phoenix, AZ, but I have been using it for my post race recovery; and I have to tell you that it’s terrific! I WANT TO RECOVERY LIKE MARK! 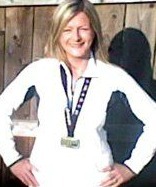 “I was training for a half marathon, and really needed a boost, something to help me improve my performance. But most importantly, to recover faster. I WANT TO RACE STRONG LIKE GABRIELA! I WANT TO BELIVE THE HYPE LIKE JMELDRUM! “I have been monitoring my weight and body fat percentage throughout my training regimen. I want to get my power-to-weight ratio just right for climbing mountain roads on my bicycle. After my “Juiced” ride today, I had lost five pounds and got down to 6.6% body fat. My largest previous post-ride weight loss was 3 pounds, and I’ve never measured less than 8% body fat until today! That proves to me that, with Hornet Juice, I’m burning more fat for energy, of which I had plenty today! The bonus is that I will weigh less and less as I climb higher and higher, with no significant loss of energy! I now know why you offer a money-back promise. Thank you!”. I WANT TO BURN FAT FOR ENERGY LIKE ROBERT! “…Since stepping up my mileage to 15-20 mile runs for the long run session over the past couple of weeks I have noticed a massive change. Was out last night to do 8 miles of hard hills. Did that in record time and at the end felt as fresh as a daisy. When trained for marathons in the past hill work has always been the killer and really struggled with them and the long runs. Yet my times are on average nearly a full minute ahead of previous marathon miles per minute pace. 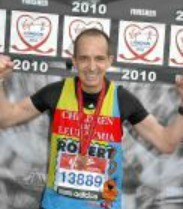 I WANT TO RUN FAST LIKE ROBERT! I WANT TO BE AMAZED LIKE ASTROROSS! 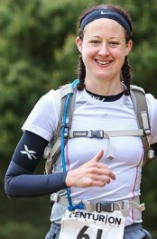 “I am 35 year old long distance runner. I took Hornet Juice for my 2 workouts, one for trying impact on endurance and second one for trying impact on speed. Sensation was different right away, I felt stronger right from the start. I was going on hilly 15 miles long training and it was incredible, keeping strong pace without problems and with lower heartbeat, like never before. And the second one was 2 mile race, I did not notice so great effect at the maximum speed, but nevertheless the very good race and with minimum sign of fatigue the other day in both cases. I WANT TO FEEL STRONG LIKE DAMIR! “I tried it for the first time a couple months ago. I was in week 4 of my training for the NYC Half. For me the biggest difference while training was the aid in my muscle recovery. It was so amazing I was scared to be without it! But what I’m really writing to tell you & anyone who is thinking about trying the Hornet Juice is this – I shaved off 24 minutes from my last half marathon time! 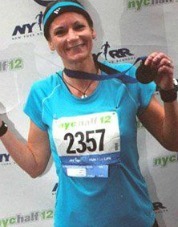 I finished the NYC Half Marathon at 1:49:09! I WANT A PR LIKE MARIA! 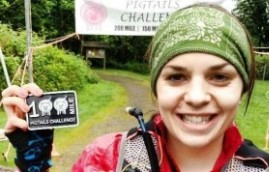 “I recently used Hornet Juice during a 100 mile race called the Pigtails challenge. I thought it was great tasting and my energy levels during the race were good. I WANT ENERGY LEVELS LIKE ASHLEY! I WANT TO BE BLOWN AWAY LIKE HUGHIN! 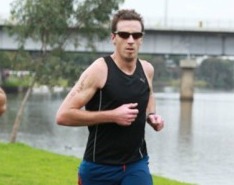 “I used Hornet Juice in my training to build up to Ironman France 2010 to help me train better and longer. HJ is good for my recovery as well. I used Hornet Juice in the Ironman and it helped me place in my highest ever finish which is 12th overall, 2nd in my age group. I’ WANNA BE LIKE BILL! I WANT ENERGY LIKE GAIL! I WANT TO RUN LIKE GEORGATHOMAS! I WANNA GET ENERGY LIKE ANNETTE! 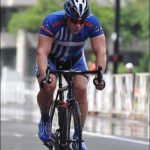 “I am a 47 year old triathlete and cyclist competing in road races and criteriums with an occassional time trial. My performances had been suffering for months due to over training and improper recovery. As a 215 Lb man competing against quite a number of 150 to 165 LB men in endurance races, my fuel intake need is basically doube. As part of a diet change and recovery improvement effort Hornet Juice was recommended by my accupuncturist as a potent way to improve the fat burning process during races and improving stamina. I WANNA IMPROVE MY TRAINING LIKE TONY!